Welcome to Gossamer Web Design, brought to you by Gossamer Computer Services. Here at Gossamer our focus is on customer service and quality. We offer a concierge of web services all designed to help you lower your costs and increase your sales. Gossamer has designed dozens of websites that work. Why do they work? Our design style allows our websites to be easily indexed by the major search engines. Not only do you get a website, you get a website that ranks well. Your total cost of ownership is reduced, since you will not need to spend as much on advertising your website using Pay per Click advertising. You may be able to completely eliminate paying to be listed which can easily save you hundreds, if not thousands of dollars! Our web design style stresses simplicity over flash with a strong eye for presenting you with a navigational interface that is simple and easy to use. The result is a search engine friendly design that we have found is very effective at increasing your bottom line. What is SEO? Search Engine Optimization is a process that analyzes the pages in your website with an eye for improving the Search Engine Rankings your pages receive. Make no mistake, there are NO silver bullets when it comes to getting good search engine rankings. Your website is hosted on a rock solid UNIX system using Apache, the Internet’s leading web server. The strength of UNIX, is in that security is built-in, rather than added on as with the Microsoft series of operating systems. UNIX’s open source policy ensures that many more people “in the know” have a strong say in the UNIX code. The result is an operating system devoid of the constant attacks that the Microsoft series of operating system is forced to respond to. Many of the methods available for attacking Microsoft products, simply do not exist for UNIX. Gossamer has a long history working with computers dating back to the late ’70s when Texas Instruments assigned me to the first engineering team charged with supporting the production of their DX990 mini-computers. 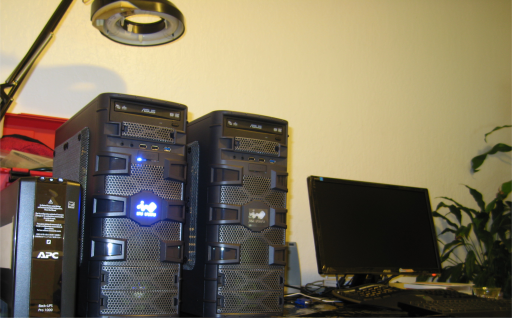 Then came VAX, Apollo, the IBM XT, and Sun. Of course, that’s ancient history. 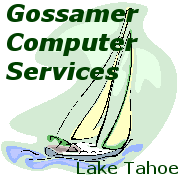 Today Gossamer can rapidly diagnose a out of date Windows installation, hardware failures, and detail remedies to extend the life of your computer. Of course, I may just say trash it! If you are on the North Shore (Truckee, Squaw, Alpine Meadows, Tahoe City, Carnelian Bay, Kings Beach, and Incline Village) and need help with your Windows based computer then please give us call. On site or for reduced rates, drop it off. Today it is common for brick and mortar stores to expand their business by offering up some, if not all, of their products or services online. Until recently, racking up increased sales online required a bit of technical savvy on the home front, or a deep wallet. Many ‘In the Cloud’ e-commerce solutions on the market today are complicated and require staff time to setup an electronics version of business functions including inventory, shipping, tax, accounting, etc., specifically for their online store. This is the elephant in the room, that barrier to ROI that you will never hear about until you are already neck deep. Gossamer’s first online stores, released over 5 years ago, were design to minimize the amount of duplicate data required for online sales resulting in minimizing changes to your current business processes. Over the past year Gossamer has once again re-designed our online store offering. What was once a month long project can now be accomplished in under a week! Check out our Store for details. Gossamer hosts all it’s online solutions with the help of the Open-Source community and we are familiar with a wide variety of their offerings. Please give us a call if you need help hosting an Open-Source solution.